The official 2017-2018 DVSA driving test pass rates and addresses for your local driving test centres East England. Want to know the most recent 2018 driving test pass rates and routes for your local East of England practical driving test centre? Please remember to check your confirmation letter or email for any changes to your East England test centre address prior to your test. Date updated: 10th October 2018. Bad weather and the practical driving test and what you need to know. Norfolk DVSA Practical Driving Test Centres. Your local driving instructor: Griffin Driving Tuition, Mulbarton, Norwich. 01508 578432. Very high 1st-time pass rate. Norwich (Peachman Way) MPTC Driving Test Centre. Additional information: Parking spaces are available at the test centre. Male and female toilets are available. Motorcycle, ADI and taxi tests are also carried out at this test centre. New 2017-2018 Car Pass Rate is only 51.2% or by simply using The Driving Test Secret you can this increases to 76.2%*, what are you waiting for? Want to pass your driving test 1st time? Click here for information on how you can pass your driving test 1st time by using DVSA ADI devised The Driving Test “SECRET”. Alice. Passed driving test 1st time! Bad Weather Phone Number. 01603 438300. Norwich (Jupiter Road) Driving Test Centre. New 2017-2018 Car Pass Rate is only 52% or by simply using The Driving Test Secret you can this increases to 77%*, what are you waiting for? Want to pass your driving test 1st time? Click here for information on how you can pass your driving test 1st time by using DVSA ADI devised The Driving Test “SECRET”. Kings Lynn MPTC Driving Test Centre. New 2017-2018 Car Pass Rate is only 46.6% or by simply using The Driving Test Secret you can this increases to 71.6% *, what are you waiting for? Want to pass your driving test 1st time? Click here for information on how you can pass your driving test 1st time by using DVSA ADI devised The Driving Test “SECRET”. Toilet facilities are available. Car parking spaces are available. William who used the Secret to help him pass his practical driving test 1st time. Suffolk DVSA Practical Driving Test Centres. Bury St Edmunds Driving Test Centre. New 2017-2018 Car Pass Rate is only 43.3% or by simply using The Driving Test Secret you can this increases to 68.3%*, what are you waiting for? Want to pass your driving test 1st time? Click here for information on how you can pass your driving test 1st time by using DVSA ADI devised The Driving Test “SECRET”. Arrangements can be made at this test centre if you have a disability. Please contact the DSA to arrange prior to your test. Please park in the public car park opposite the fire station. Designated spaces are at the bottom of the car park down to the left. Ipswich MPTC Driving Test Centre. New 2017-2018 Car Pass Rate is only 59.4% or by simply using The Driving Test Secret you can this increases to 84.4%*, what are you waiting for? Want to pass your driving test 1st time? Click here for information on how you can pass your driving test 1st time by using DVSA ADI devised The Driving Test “SECRET”. New 2017-2018 Car Pass Rate is only 48.4% or by simply using The Driving Test Secret you can this increases to 73.4%*, what are you waiting for? Want to pass your driving test 1st time? Click here for information on how you can pass your driving test 1st time by using DVSA ADI devised The Driving Test “SECRET”. Cambridgeshire DVSA Practical Driving Test Centres. Cambridge (Chesterton Road) Driving Test Centre. Driving Test Pass Rates Cambridge (Chesterton Road) Driving Test Centre. New 2017-2018 Car Pass Rate is only 52.9% or by simply using The Driving Test Secret you can this increases to 77.9%*, what are you waiting for? Want to pass your driving test 1st time? Click here for information on how you can pass your driving test 1st time by using DVSA ADI devised The Driving Test “SECRET”. Cambridge (Cowley Road) Driving Test Centre. Driving Test Pass Rates Cambridge (Cowley Road) Driving Test Centre. New 2017-2018 Car Pass Rate is only 49.8% or by simply using The Driving Test Secret you can this increases to 74.8%*, what are you waiting for? Want to pass your driving test 1st time? Click here for information on how you can pass your driving test 1st time by using DVSA ADI devised The Driving Test “SECRET”. Peterborough MPTC Driving Test Centre. Driving Test Pass Rates Peterborough Driving Test Centre. New 2017-2018 Car Pass Rate is only 49.2% or by simply using The Driving Test Secret you can this increases to 74.2%*, what are you waiting for? Want to pass your driving test 1st time? Click here for information on how you can pass your driving test 1st time by using DVSA ADI devised The Driving Test “SECRET”. Essex DVSA Practical Driving Test Centres. Basildon MPTC Driving Test Centre. New 2017-2018 Car Pass Rate is only 35.6% or by simply using The Driving Test Secret you can this increases to 60.6%*, what are you waiting for? Want to pass your driving test 1st time? Click here for information on how you can pass your driving test 1st time by using DVSA ADI devised The Driving Test “SECRET”. Driving Test Pass Rates Brentwood Driving Test Centre. “It was really simple to download the “Secret” to my phone which meant I could use the Driving Test “Secret” wherever I was”. William who used the Secret to help him pass his practical driving test 1st time. Chelmsford (Hanbury Road) Practical Driving Test Centre. Driving Test Pass Rates Chelmsford (Hanbury Road) Driving Test Centre. New 2017-2018 CarPass Rate is only 45.8% or by simply using The Driving Test Secret you can this increases to 70.8%*, what are you waiting for? Want to pass your driving test 1st time? Click here for information on how you can pass your driving test 1st time by using DVSA ADI devised The Driving Test “SECRET”. Chelmsford (Hoffmans Way) Practical Driving Test Centre. Driving Test Pass Rates Chelmsford (Hoffmans Way) Driving Test Centre. New 2017-2018 CarPass Rate is only 45.2% or by simply using The Driving Test Secret you can this increases to 70.2%*, what are you waiting for? Want to pass your driving test 1st time? Click here for information on how you can pass your driving test 1st time by using DVSA ADI devised The Driving Test “SECRET”. Driving Test Pass Rates Clacton-on-Sea Driving Test Centre. New 2017-2018 Car Pass Rate is only 50.5% or by simply using The Driving Test Secret you can this increases to 75.5%*, what are you waiting for? Want to pass your driving test 1st time? Click here for information on how you can pass your driving test 1st time by using DVSA ADI devised The Driving Test “SECRET”. Colchester Practical Driving Test Centre. Driving Test Pass Rates Colchester Driving Test Centre. New 2017-2018 Car Pass Rate is only 40.1% or by simply using The Driving Test Secret you can this increases to 65.1%*, what are you waiting for? Want to pass your driving test 1st time? Click here for information on how you can pass your driving test 1st time by using DVSA ADI devised The Driving Test “SECRET”. Loughton Practical Driving Test Centre. Driving Test Pass Rates Loughton Driving Test Centre. New 2017-2018 Car Pass Rate is only 45.3% or by simply using The Driving Test Secret you can this increases to 70.3%*, what are you waiting for? Want to pass your driving test 1st time? Click here for information on how you can pass your driving test 1st time by using DVSA ADI devised The Driving Test “SECRET”. Tilbury Practical Driving Test Centre. Driving Test Pass Rates Tilbury Driving Test Centre. New 2017-2018 Car Pass Rate is only 43.1% or by simply using The Driving Test Secret you can this increases to 68.1%*, what are you waiting for? Want to pass your driving test 1st time? Click here for information on how you can pass your driving test 1st time by using DVSA ADI devised The Driving Test “SECRET”. Catherine. Passed 1st time using the Secret. 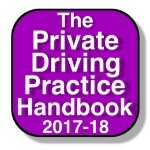 Hertfordshire DVSA Practical Driving Test Centres. Bishops Stortford Driving Test Centre. South Road Bishops Stortford Hertfordshire CM23 3LD. Driving Test Pass Rates Bishops Stortford Driving Test Centre. New 2017-2018 Car Pass Rate is only 44.7% or by simply using The Driving Test Secret you can this increases to 69.7%*, what are you waiting for? Want to pass your driving test 1st time? 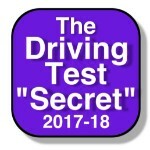 Click here for information on how you can pass your driving test 1st time by using DVSA ADI devised The Driving Test “SECRET”. Borehamwood Practical Driving Test Centre. Unit 1-3 Elstree Gate Elstree Way Borehamwood Hertfordshire WD6 1JD. Driving Test Pass RatesBorehamwood Driving Test Centre. New 2017-2018 Car Pass Rate is only 47.9% or by simply using The Driving Test Secret you can this increases to 72.9%, what are you waiting for? Want to pass your driving test 1st time? Click here for information on how you can pass your driving test 1st time by using DVSA ADI devised The Driving Test “SECRET”. Letchworth Practical Driving Test Centre. Jackmans Place Letchworth Hertfordshire SG6 1RF. Driving Test Pass Rates Letchworth Driving Test Centre. New 2017-2018 Car Pass Rate is only 46.8% or by simply using The Driving Test Secret you can this increases to 71.8%*, what are you waiting for? Want to pass your driving test 1st time? Click here for information on how you can pass your driving test 1st time by using DVSA ADI devised The Driving Test “SECRET”. Beauver House 6 Bricket Road St Albans AL1 3JX. Driving Test Pass Rates St Albans Driving Test Centre. New 2017-2018 Car Pass Rate is only 43.7% or by simply using The Driving Test Secret you can this increases to 68.7%*, what are you waiting for? Want to pass your driving test 1st time? Click here for information on how you can pass your driving test 1st time by using DVSA ADI devised The Driving Test “SECRET”. Stevenage Practical Driving Test Centre. Driving Test Pass Rates Stevenage Driving Test Centre. New 2017-2018 Car Pass Rate is only 51.7% or by simply using The Driving Test Secret you can this increases to 76.7%*, what are you waiting for? Want to pass your driving test 1st time? Click here for information on how you can pass your driving test 1st time by using DVSA ADI devised The Driving Test “SECRET”. Watford Practical Driving Test Centre. CP House Otterspool Way Watford WD25 8HU. Driving Test Pass Rates Watford Driving Test Centre. New 2017-2018 Car Pass Rate is only 49% or by simply using The Driving Test Secret you can this increases to 74%*, what are you waiting for? Want to pass your driving test 1st time? Click here for information on how you can pass your driving test 1st time by using DVSA ADI devised The Driving Test “SECRET”. Bedfordshire DVSA Practical Driving Test Centres. Cardington Practical Driving Test Centre. Driving Test Pass Rates Cardington Driving Test Centre. New 2017-2018 Car Pass Rate is only 41.2% or by simply using The Driving Test Secret you can this increases to 66.2%. *, what are you waiting for? Want to pass your driving test 1st time? Click here for information on how you can pass your driving test 1st time by using DVSA ADI devised The Driving Test “SECRET”. Leighton Buzzard (Stanbridge Road) Practical Driving Test Centre. Driving Test Pass Rates Leighton Buzzard Driving Test Centre. New 2017-2018 Car Pass Rate is only 48.3% or by simply using The Driving Test Secret you can this increases to 73.3%*, what are you waiting for? Want to pass your driving test 1st time? Click here for information on how you can pass your driving test 1st time by using DVSA ADI devised The Driving Test “SECRET”. Luton Practical Driving Test Centre. Driving Test Pass Rates Luton Driving Test Centre. New 2017-2018 Car Pass Rate is only 33.5% or by simply using The Driving Test Secret you can this increases to 58.5%*, what are you waiting for? Want to pass your driving test 1st time? Click here for information on how you can pass your driving test 1st time by using DVSA ADI devised The Driving Test “SECRET”. New DVSA ADI 2017-2018 edition for the UK practical driving test.